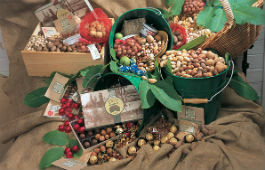 Nuts are grown in various areas of NSW, such as the northern, central and southern tablelands, the Murrumbidgee Irrigation Areas, inland river valleys and in coastal areas. NSW DPI's role is to provide support to the horticultural industry through the provision of extension officers, research scientists, diagnostic laboratories, publications, horticultural courses and regulatory services. A comprehensive overview of pests, diseases and disorders found in multiple or specific crops. Learn more.